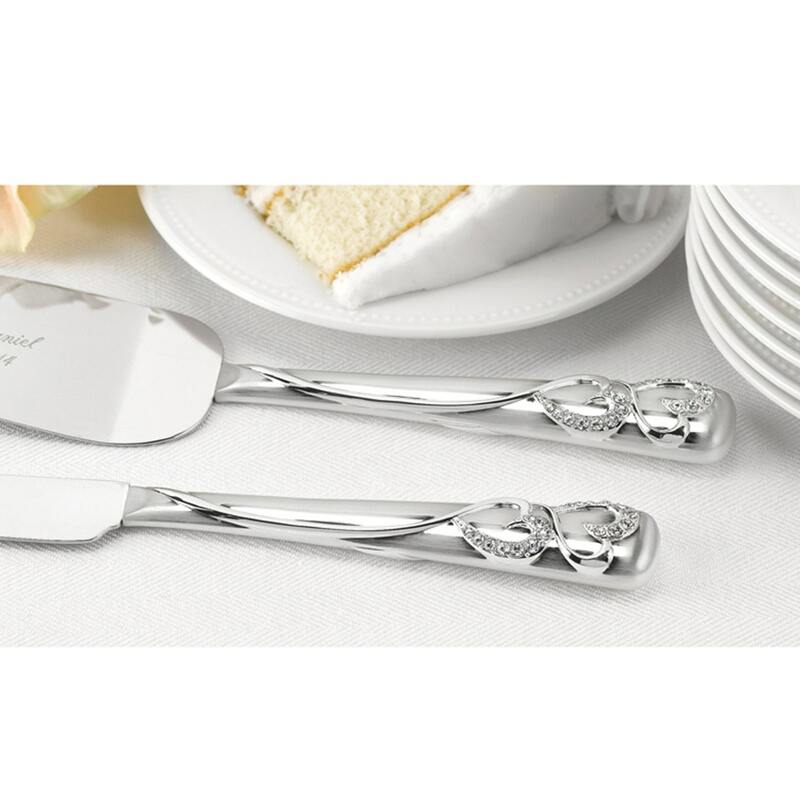 Cake Server Knife, Brushed Silver Handles Double Hearts Rhinestone Aaccents., Personalized Names Date, For Wedding Cakes, Anniversary Cakes. Brushed silver handles with double hearts design and rhinestone accents. If you select personalized - On your cart page or payment method page there is a text box to type a message. No proof is provided prior to being engraved. Your order will go directly to the engraver as ordered. Double Hearts Wedding Cake Topper Silver Plated With Sparkling Rhinestone Accents. Wedding Cake Topper Rose Gold Double Hearts With Crystal Accents.